During the game, he was involved in a verbal with the English captain Joe Root who was caught on the stump mic saying, “Don’t use it as an insult. 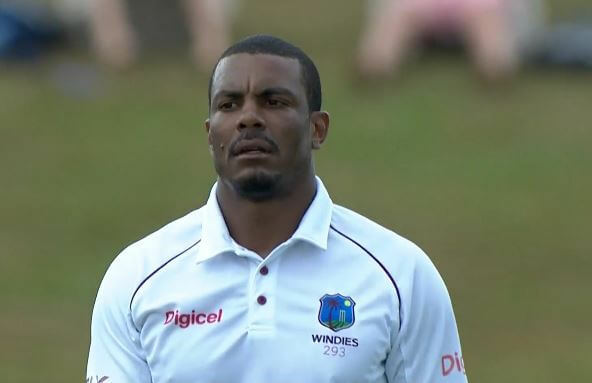 There is nothing wrong with being gay.” The on-field umpires Kumar Dharmasena and Rod Tucker laid the charges on Shannon Gabriel. The 30-year-old has been fined 75% of his match fees and 3 demerit points for the Level 2 offence. He was expected to make a comeback to the ODI side after an impressive run in Test cricket. But now, he will miss the first 4 ODIs against England. Prior to this, Shannon Gabriel had 5 demerit points for 2 previous incidents. In April 2017, he had received 3 demerit points for barging Sarfaraz Ahmed in the Jamaica Test. Then, in November 2018, he received further 2 demerit points for a similar incident involving Imrul Kayes in the Chittagong Test against Bangladesh. Now that 3 demerit points are added, his tally reached 8 which automatically equates to a ban from either two Tests or four ODIs or T20Is, whatever comes first. English captain had earlier responded to the incident. Root felt that Gabriel got emotional and it happens sometimes on a cricket field. “It’s Test cricket, he’s an emotional guy trying to do everything he can to win a Test match. Sometimes people say things on the field they might regret, but they should stay on the field. He’s a good guy who plays hard cricket and is proud to be in the position he is. The battle was a good contest, he’s had a wonderful series and he should be proud,” said Root after day 3 of the 3rd Test.